TCS Interview Questions: TCS full form is Tata Consultancy Services and it is a global leader in IT services. TCS offers best career opportunities for fresher’s as well as Experienced. TCS Recruits number of candidates every year through Campus recruitment and direct walk-in. Selecting of Candidates for TCS will be done in 3 phases. All are elimination rounds. We provide a wide collection for successful clearing of all the rounds. The aptitude which is the major part in the written test is provided. Follow the link Sample Quantitative Aptitude Questions. Here we also provide wide collection of Technical Interview Questions and answers covering all the languages which will help a lot in clearing the Technical phase. This is the most frequently asked question almost every company. Answer to this question should be very brief covering your educational background, family details, achievements and goals etc. Why should we hire you for TCS? Your answer should be in that way that it convinces him to select you. Mention all the skills you have which will meet their requirement. Also mention your achievements which add benefit to their company. Jamsetji Nusserwanji Tata established TATA Group in 1869. However it was under Mr. Jahangir Ratanji Dadabhoy Tata (JRD Tata), that this group was expanded and hence TCS was established in 1968. Present Mr. Rattan Tata is the Chairman of the group. Mr. Natarajan Chandrasekaran is the present Chief Executive Officer (CEO). If you can’t answer these questions it creates impression that you have not done any home work regarding this. Who are competitors for TCS? A little study will help you answer this question which makes a positive sense to the interviewer that you are concerned with this job. The major competitors for TCs are Infosys, Wipro, HCL, oracle, Tech Mahindra and Mphasis. Are you willing to accept a bond of 2 years and to relocate? The answer to this question is up to you based on your personal and family conditions. Be honest. Why do you want to join TCS but no other companies? Try to mention some of the positive factors such as Good work environment and career growth. Ex: I heard from my friends that TCS has a very good work environment and career growth. More over TCS is one of the top IT companies. Never mention reasons like salary which creates negative impression. If you are rejected today what will you do? This question doesn’t mean that you are rejected. This is test your confidence and also to know what are your other plans and to know if you have applied for any other company. Are you willing to work overtime and nights/weekends? The answer to this question depends upon on one’s individual opinion and situations. Do you have anything to ask me? what are the company policies regarding training? can you explain a typical day in this role? job description assigned to me be based on my interest area? what is the training budget? What is more important money or job? You can see more Interview questions and answers pdf and details of TCS Careers in this links. Finally the perfect preparation with all the above provided materials along with TCS interview questions and proper presentation with confidence and a bit of luck will transform you from student TCS employee. All the best. 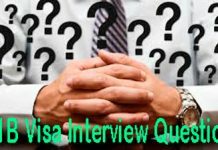 You can use the links in this post to download more interview questions. If you want to save these questions as pdf document the use the save as pdf file option in the print settings.